Stuck in an Italian meatball rut? 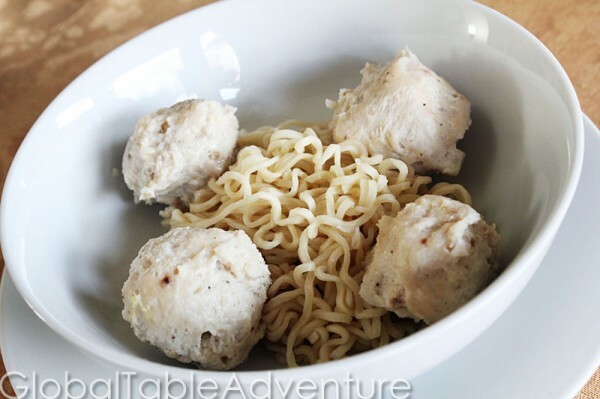 I’ve got the answer: cozy up to Asian-style Bakso meatballs. You’ll be in good company – these mild and tender meatballs are beloved street food throughout Indonesia, East Timor and other nearby islands. You’ll find them bobbing in soups, or thinly sliced and tossed in noodle and rice dishes. The meatballs can be made with beef, chicken, fish or shrimp. Oh, and super thanks to you who voted on our Facebook Fan Page – your votes decided we should try bakso made with chicken. The mild chicken flavor is perked up with a dose of sautéed garlic and shallots. 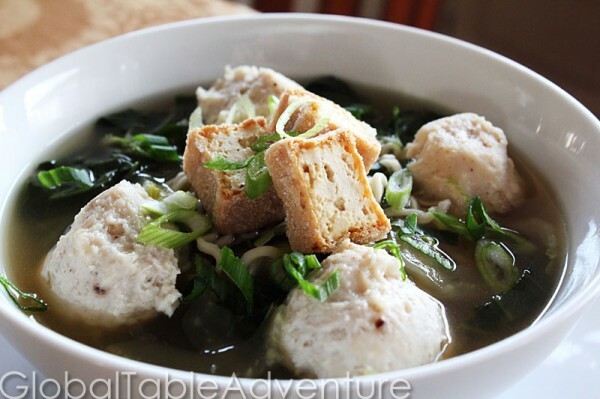 They are great in Bakso Noodle Soup and can be frozen for other uses. 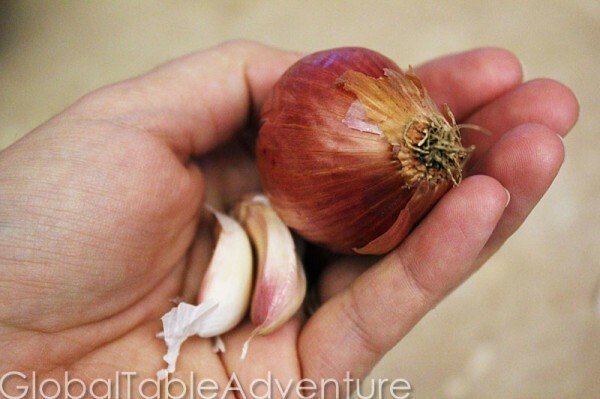 Gather the shallot and garlic. 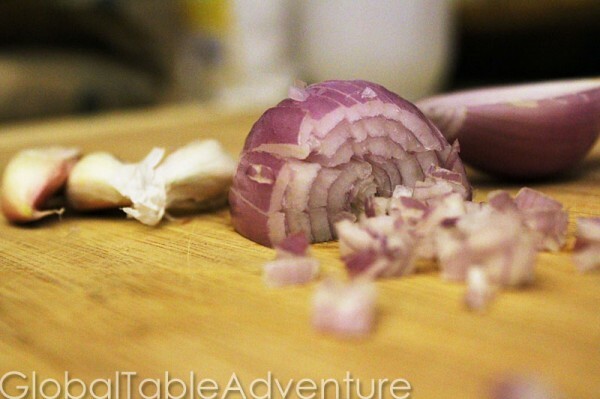 If you don’t have shallot you could use a little red onion. 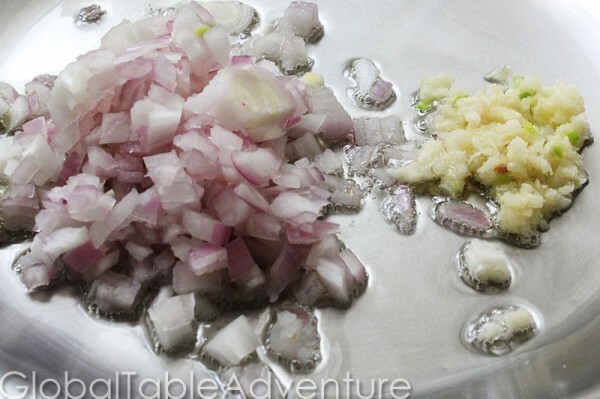 Chop the shallot and crush the garlic. Until golden and caramelized. Set aside to cool completely. Now, get ready to make some noise. 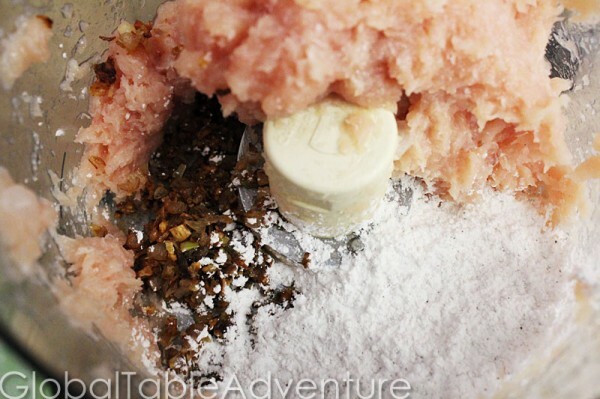 In a food processor, pulse together ground chicken with the crushed ice. This will help make the meatballs light. The noise kind of scared our new fish, Max (named after Max in Roswell… the T.V. show). Take pet precautions if necessary. 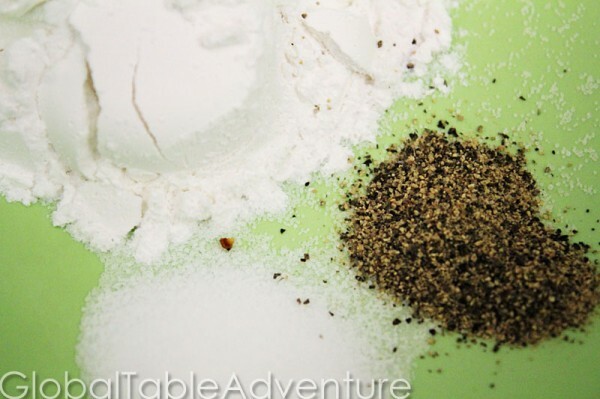 In a small bowl, whisk together tapioca flour, salt, and pepper. Add the flour mixture and the shallot/garlic mixture to the chciken. 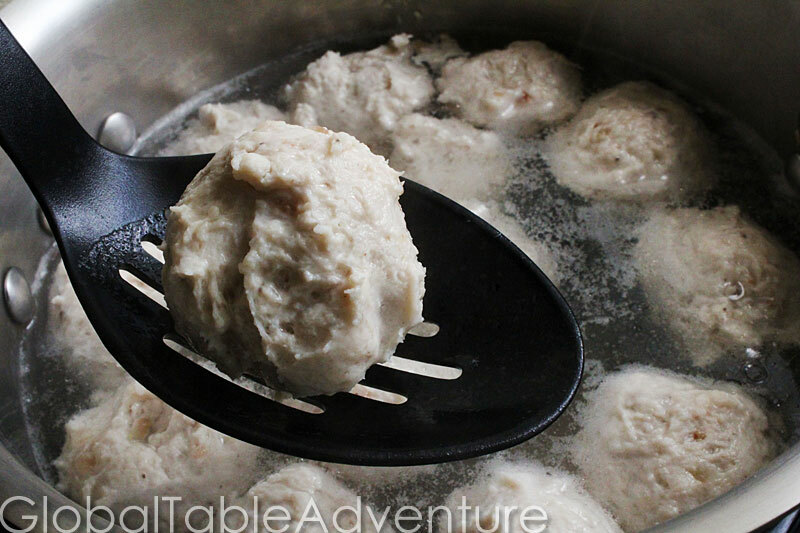 Form into balls using the two-spoon-drop-cookie method, and drop into simmering water. 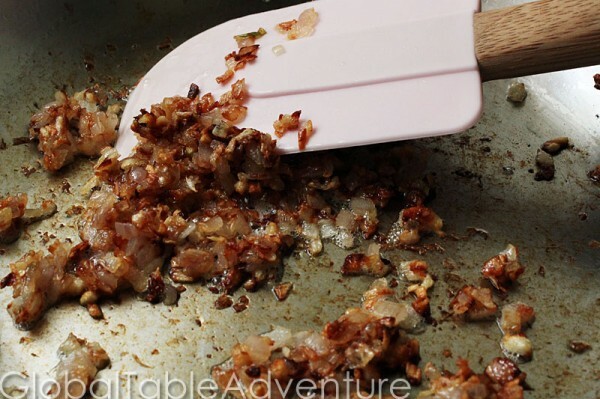 Cook the shallot and garlic in vegetable oil over medium heat until caramelized. In a small bowl, whisk together tapioca flour, salt, and pepper. Add the flour mixture and the shallot/garlic mixture to the chicken. Scoop them out and add to noodles and soup. 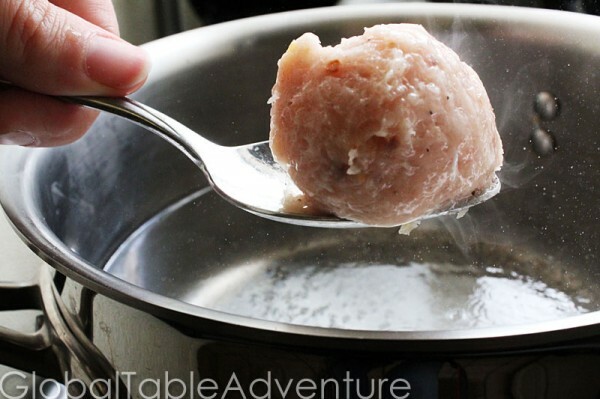 1) In this recipe, when does the egg enter the meatball mix? 2) Is there any way you cna have a print option on the website that just give the instructions–no photos? The step by steps are great but, in reality,–and trying to stay green here! –printing out all the photos really eats up a lot of paper. Thanks!–and all best wishes for coninuted happy trails! YES! The delete button absolutely works to remove the photos for a print version. As long as one knows this (perhaps you could have a note somewhere on your website–in case everyone is not reading this), there is no reason why you should devote any of your precious creative time to re-working the blog. As for the tapioca flour, to those, like me, who are marooned in a frozen tundra right now: you can buy it on Amazon and the website Buzzle.com gives a list of substitutes. Off to Basko now! After too many frigid weeks stoked by osso bucco, slow roasted pork shoulders, and bean soups, the cleansing clarity of Asian noodle soup sounds mighty appealing. That’s a good idea.. I’ll see what we can do. As for substitutes – I’m pretty sure cornstarch works… just use half as much. Happy cooking! confusing…Are you on Indonesia? or Timor? or what? Loved these! 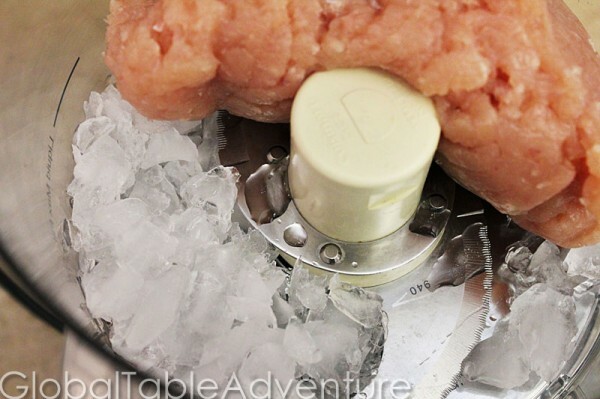 The ice with meat in food processor didn’t work too great for me, but otherwise just loved the taste! 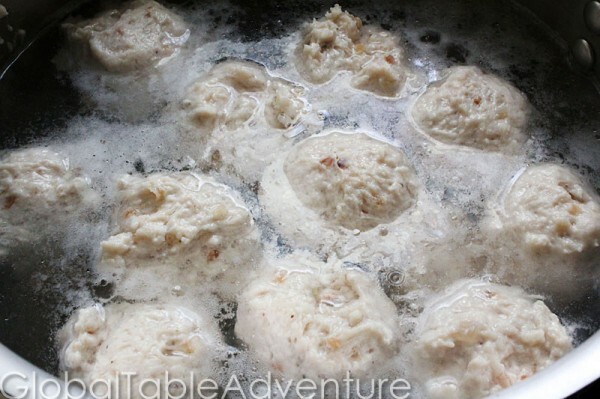 I did fry them a little bit in oil befor simmering just to get a little browned look…. the soup was wonderful! !